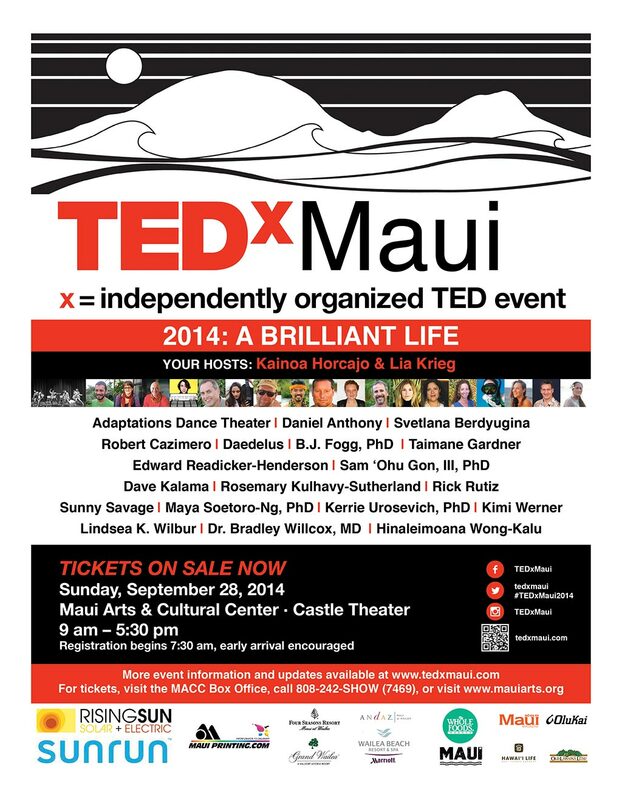 TEDxMaui: A Brilliant Life took place on Sunday, September 28th, 2014 at the Maui Arts & Cultural Center. Thank you to all the speakers and performers, and everyone who participated in this fabulous event. It was a brilliant success! Lunch: 12:45 p.m. – 1:45 p.m.